If you have read only a couple of our posts you will surely be familiar with our love for a personalised product! We recommend checking out personallypresented.com for a wide range of quality products that are also fresh and modern – so much rose gold! We recently received a pair of personalised rose gold cufflinks which are a really stylish and modern finishing touch. They were a great price at £22.49. I’m sure you also know how much we both love to have a house full of fresh blooms – and what a perfect excuse to splash out on a beautiful bouquet of traditional Valentines roses! For those with a bigger budget you can buy “everlasting roses” which are around £100 for a decent sized bunch but will last for around a year! They are now available from a range of sellers, and all seem to come in lovely gift boxes, which you keep them in, making them perfect for Valentines. You can’t go wrong with a quality luxury item – something that your partner wouldn’t usually treat themselves to but would love to use. I find that when I use a luxury cream or shower gel I feel special and happy each time – as Marie Kondo would say – it really sparks joy! We recently came across Seams Hand Cream – not only is the product itself lovely but the packaging they send it in tells you that this is a special, quality item. Perfect for a gift and only £14! High quality chocolates or treats are an ideal Valentines gift. This can sometimes be tricky for me with a lactose intolerant husband. 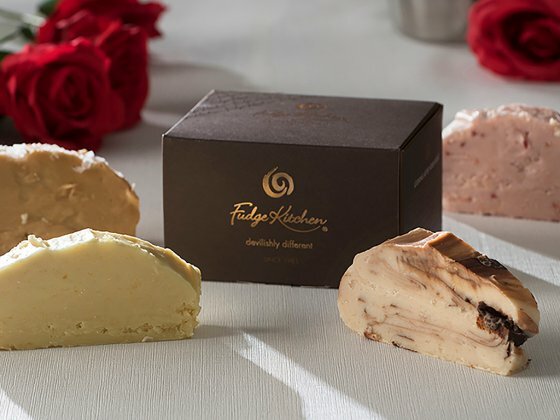 That is why I love Fudge Kitchen – hand decorated premium fudge that also comes in dairy free options! Simon assures me they taste great too (not an easy feat for dairy free items!). If your partner doesn’t have a sweet tooth you could “spice things up” with some Hot Sauce! Budget friendly at £1.59 RRP Simon loves the Encona Carolina Reaper Sauce. A great gift is to treat your partner to a night of great food, great drinks, and your great company! Restaurants will usually have Valentines menus and offers on too, helping to keep this budget friendly. Take the time to reminisce about your relationship, plan your couple goals for the future and generally make time for each other and your relationship. *some of the above items for sent to us for inclusion in this guide – however all opinions are our own.